Located in Hawaii Volcanoes National Park, Thurston Lava Tube is one of the main attractions for visitors as they explore the park. Like veins leading from the central 'heart' of the volcano, lava tubes direct molten earth toward the ocean. As the lava flows, the outer crust begins to harden while the inner lava continues to flow. Once the flow stops, the tunnel formation remains. Thurston Lava Tube could date back some 350-500 years. The tube is named for Lorrin Thurston, a newspaper publisher that played an instrumental role in creating the park. You will take a short trail through lush vegetation replete with tropical ferns and singing honeycreeper birds called Apapane. Cross a short bridge, and you enter the dark world of a lava tube. Lit for safety, the tube is a fascinating experience that ends too quickly. When you reach daylight, you have the opportunity to continue through a gated area into the un-lit portion of the cave if you so choose. Make sure to bring a strong flashlight! Restrooms are available near the entrance to the trail. 1 1/2 miles east of the junction of Crater Rim Drive and Chain of Craters Road in Hawaii Volcanoes National Park. If you want to experience a lava tube that is even more spectacular and much less visited than Thurston Lava Tube; sign up for a Volcano Tour offered by the Volcano Van. 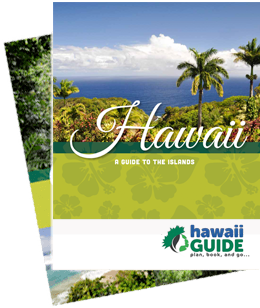 They operate tours daily from the major resort destinations of Hilo, Kona, and Kohala.